A super first race back after a break for Yourholidayisover. Please watch the video below..
An excellent win for Little Lotte at Les Landes, Jersey on Easter Monday. At last! That well deserved win. Yourholidayisover 2nd at Southwell in a 2 mile h’cap chase with James Davies in the saddle. Yourholidayisover 2nd at Southwell in a 2 mile h’cap chase with Mark Quinlan in the saddle. Little Lotte runs at Fakenham on Wednesday October 26th. 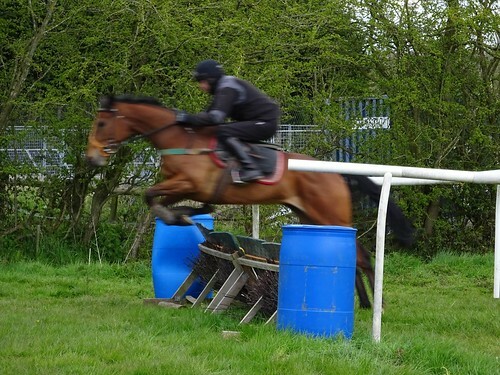 Little Lotte has made great progress after a pipe-opener on the flat at Nottingham recently. She has been well schooled over hurdles and is now a fluent, proficient jumper. She runs on Monday at Leicester on the flat off her new mark of 60 (Racing Post top rated!) 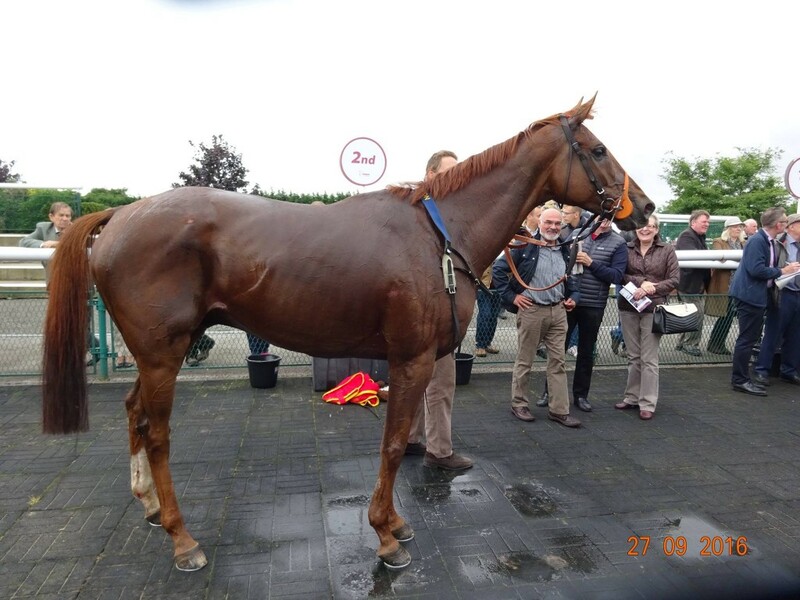 but is set to become a decent 4-Y-O handicap hurdler in 2016/7 NH season. 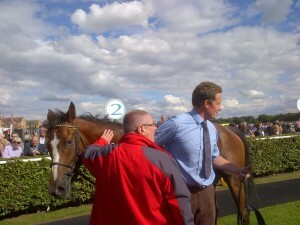 She will run at Hexham on June 4th with an outstanding chance. 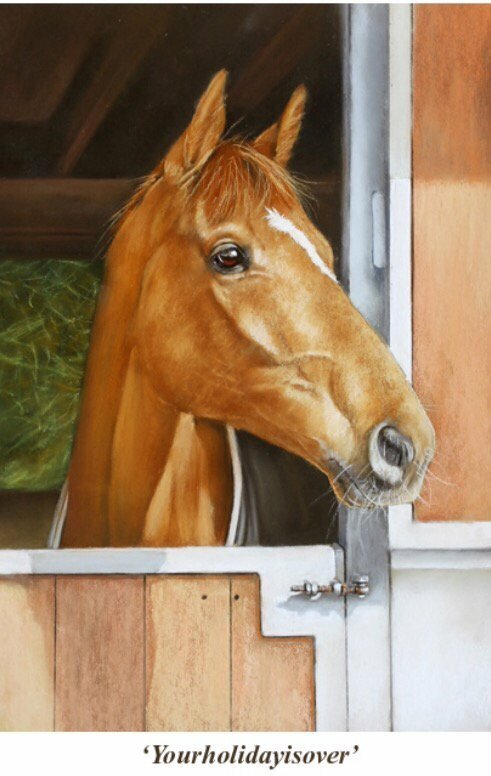 Expect to see her at Cheltenham in March 2017. The Club has acquired Yourholidayisover; on his latest run he was 3rd at Wolverhampton (tonight!) He will run in novice handicap chases, where you will see he will run off a very competitive mark. 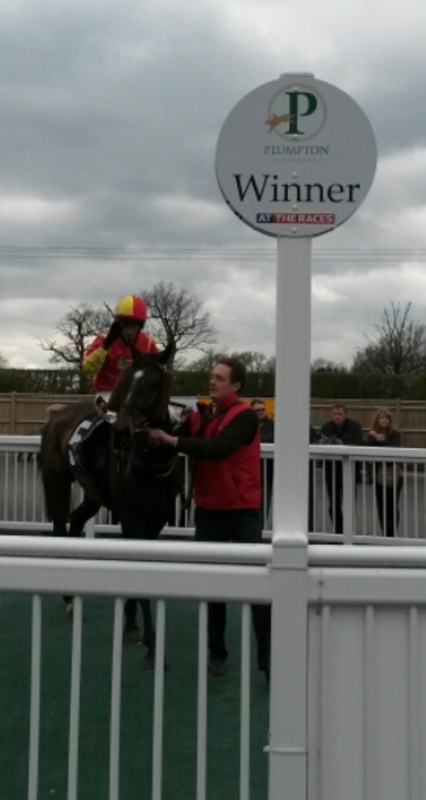 A milestone 60th Club winner achieved with Thats Ben winning at Plumpton on Easter Sunday. Our latest acquisition is now schooling, ready for his juvenile hurdling campaign. A 100,000 guineas yearling, Dover The Moon’s dam won 3 hurdles in France! Looking forward to races for him at Newton Abbot and Stratford during August 2014. 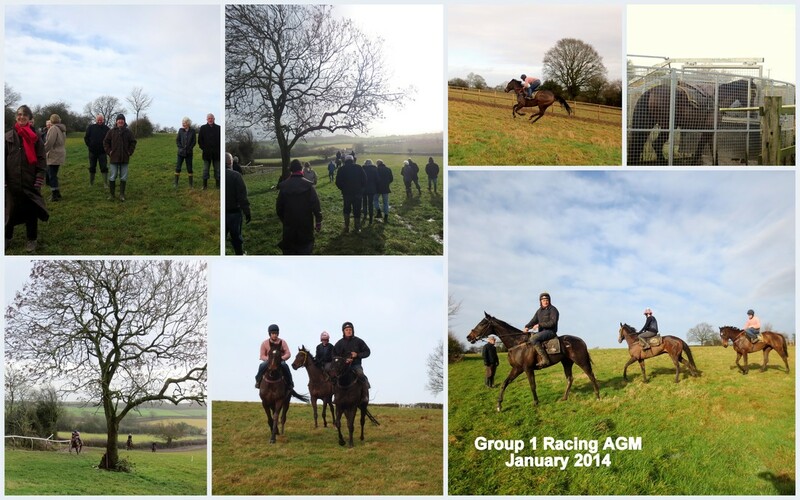 Group 1 Racing Annual General Meeting 2014 – please click to enlarge! Lordship 2nd at Stratford with Bridgit Andrews. Lordship 2nd at 50/1 in a Class 4 Novice hurdle at Stratford, provides a £1,000 starter to our 2013/4 NH prize money pot! Tommy Gretton, Club member John S. and Lordship! This entry was posted in Public News and tagged Dover The Moon, Horse Racing Club, hosre racing on April 19, 2017 by g1admin. Disappointing that Nigel fell at the 4th fence on Wednesday, it was an uncharacteristic mistake. He was alright afterwards but we don’t know whether that will have dented his confidence and it may well prove to have been a good time to finish our involvement with him. His new owner, Lady Susan Brooke, picked him up on Friday and obviously we wish them well and all the best for the future. We will be horseless for a while and will need to do our research for the autumn sales to buy our 2YO to go hurdling with next summer. Please see entry below from 5th January. Yourholidayisover (aka Nigel) runs his last race for the club tomorrow in the 2pm at Plumpton. He’s usually 2nd favourite and finishes 2nd but the field is that weak he’s forecast favourite, so a great EW bet at 9/1. The weights have gone up, Robbie Dunn, who has ridden him before, rides, and he is actually likely to win his final start. Fingers crossed. His new home is with Lady Susan Brooke where he will be well looked after. Yourholidayisover ran another sound race at Warwick on Monday. Possibly he didn’t like the ‘dead’ ground and he certainly finished tired. The jockey said he got into trouble with other horses at most fences and he didn’t enjoy that. The plan is still to run at Plumpton on Wed 16th Jan, (very little rain forecast) his last race for the Club, before going to his new home with Lady Susan Brooke. Gary, Dave & I met on Wednesday this week to discuss the Club’s future. We have every intention of re-building the Club starting by buying another 2-Y-O at the October H-I-T Sales (Newmarket or Doncaster) just as we have done successfully many times before. Multiple winning hurdlers Basic Fun was a 3-Y-O as was Be Wise Girl. Little Lotte was a 2-Y-O that Tommy schooled well and she eventually did us proud. Obviously the hope is to find a Mysilv, moderate on the flat, but a winner of the Triumph hurdle no less. We’ll sell this filly as a Club partnership horse, as usual at cost price, plus subsidised monthly fees of £70 per month (10% share). Peruse the online catalogues, make purchase recommendations, and come and join us at the Sales as we search for our potential champion. A long way to go, but expressions of interest from members old and new (5% shares also available) welcomed! A two year membership of the Club just £395 (covers 2019-20). A change of plan! With dry weather forecast Tommy thinks it’s suitable for yourholidayisover to run at Warwick on New Year’s Eve (big fences). Season’s greetings to all club members, hope you had a wonderful Christmas and wishing you a successful New Year! Unfortunately Market Rasen turned their annual Boxing Day modest selling handicap hurdle into a no limits rated handicap, so anticipating higher rated horses entering and Nigel being well out of the h’cap, we didn’t make the entry. That has turned out to be a good decision as the top rated horse has a JC rating of 133 and there is a 123 also. So it looks like Plumpton all the way! So near yet so far! All our jockeys lose their head on Nigel once they are cruising at the last fence and Tuesday was no exception. A 2 lengths lead turned into a half length defeat. Nigel was tired after the race with his eyes shut. His final run for the Club will be either the selling h’cap hurdle on Boxing Day at Market Rasen or more likely Plumpton (the race he won) on Wednesday 16th January 2019. Plans about a new horse aquisition early in the New Year. Nigel fully recovered and in great form for a crack at a £5k first prize tomorrow in the 2.40 Fakenham. Fingers crossed. All according to plan. A great second. Nigel slightly lame, but hopefully recovered in time to run at Fakenham next Tuesday in a valuable event,. A great chance tomorrow against the odds on fav Show’s Over in the 12.20 Sedgefield with Brian Hughes in the saddle. Fingers crossed. Well the rain didn’t arrive at Ffos Las, so we’re off to Sedgefield next Tuesday. 10 entries, few runners, good to soft ground, be there or be square! Well the forecast rain didn’t arrive and the ground is too fast for Nigel at Hereford. He’s now likely to run at Ffos Las next weekend; the rain is forecast. Let’s hope it turns up this time! Tommy reports the horse is very well. Nigel fine after his run. Highly likely to run at Hereford on Monday November 5th, a h’cap chase. Rain forecast most of next week, leading up to and including raceday. Yourholidayisover ran a sound race for a comeback run, tiring towards the end of the race, finishing 5th of 7, but still closing towards the end, if anything, under a superb ride from Bryony Frost. The ground was too quick for him yesterday. When she’s available, Bryony will keep the ride, just might be what the old boy needs! Sorry again! Time went quickly there, as Nigel is now fit enough to have a run. He’s entered and runs at Stratford this Saturday in the 5.15 (6th race of 7 on the card). Tommy reports him in good form with himself, but bound to need the run. Give me a bell or send a text or email for badges. We’re back! Apologies for the long absence. Okay, so we haven’t closed down. Yourholidayisover (aka Nigel) has had an extensive period of rest at grass over the Summer, his first real break since we acquired him. He’s now back in work on the horse walker and there will be regular updates on his progress. We have no plans to acquire another horse at the moment, but the plan is for Nigel to run for the Club up to around Christmas time and then let him go to a new racing home, from which they’ll look after his retirement plans in due course. Dave, Gary and I will get together and have a think about future plans. After several abandonments, it looks like we will be in action this Sunday at Plumpton. There’s rain forecast most days, but only on top of good to soft. Only 10 entries and he’s now down to the mark he won off, at this track! Tommy reported Yourholidayisover was blowing after the Market Rasen race; either because he needed the run or because of the ground. Definitely out of his depth in a 0-110. He’ll come down the h’cap several points for that effort (the Club sill gets £450 plus Sunday appearance money). We’ll next run at Plumpton on 2/4, Southwell on 10/4 and Plumpton again 15/4 all 0-100 chases. Huntingdon 26/3 a possibility. The Cheltenham Fantasy League is good fun and there is a cash prize. Pick 3 stables and join our Club league. Private league: Group 1 Racing Club. Pin number 8123415. Need to select your first runners before they race tomorrow. Good luck! We’re aiming high. Yourholidayisover declared to run in the 3.05 Market Rasen on Sunday, a 0-110 chase with £6k to the winner. Only 5 declarations (including us). We’re in the weights off 10 stone, our jockey can claim his 5 lbs and it’s Sunday appearance money plus £450, even if we finish last. Nigel may do much better than that, rain is on its way! Tommy wanted to run Just Jimmy at Chepstow (Saturday) so we’re in a weak selling h’cap hurdle with Nigel at Southwell on Sunday. The alternative is a h’cap hurdle at Wincanton on Wednesday, but there are hard frosts forecast. More to follow. Nigel was travelling strongly when he hit the 3rd last, lost his momentum and downed tools. His first jumping error since Fontwell yonks ago. He’ll likely go to Chepstow next (back in a 0-100) off a lower mark and then Southwell again. Details to follow. Tommy fancies Appletree Lane to go close tomorrow. It’s the 2.20 Market Rasen, currently 15/2 with Ladbrokes and Coral. That may not last long. Yourholidayisover has 6 to beat in the 2.30 Southwell tomorrow. Myrounsorurs is one of the favs., after a layoff of 560 days and not apparently wanting this ground! Fingers crossed. Yourholidayisover is declared for Southwell tomorrow. Tommy reports him very very well, Tommy Dowling rides; it’s soft/heavy ground. There’s going to be a light frost, but the ground is covered. Little Jimmy runs in the same race. More later, when we see the declarations. Nigel very likely to go to Southwell on Monday. possibly with Little Jimmy in the same race. It should bee a small field on pretty soft ground. Apologies for the lack of updates. I will try to do better! Plumpton was abandoned after the horse was in attendance and ready to run. Waterlogged with standing water. So we’ve plumped for a handicap hurdle race at Fakenham today, the 1.25 pm. He’s a stone better off in the weights over hurdles. Ten runners in heavy ground and hopefully not abandoned. Great chance if Tommy Dowling (claiming jockey) doesn’t lose his head like the last time he rode him, taking it up 2 hurdles out! Yourholidayisover runs in the 2.00 Plumpton tomorrow. He came down 1lb in the weights. We won this race last year. Tommy reports Nigel in excellent health. Heavy rain from 5 am onwards should make the ground heavy and sloppy. Robbie Dunne has had 2 practice attempts and keeps the ride. 3rd time lucky? Not his biggest fan, even Timeform think so! Let’s hope they’re right. This entry was posted in Member News on November 29, 2015 by g1admin.